It’s official: The holiday party season has arrived. Whether or not you’ve already started searching for the perfect party looks to wear for all of your fêtes, there’s no denying that you can never go wrong with long-sleeve cocktail dress as a plan A for the evening. Practically made to be seen throughout the winter party circuit, this dress style will keep you warm throughout the night, which, as a result, will also prevent you from piling on extra-bulky layers—sounds like a win-win situation to us. While there are amazing dresses that will look good year-round, you can’t help but admit that this style speaks so perfectly to the season, extreme weather and all. Sure, you could always opt for a classic silk slip dress, or even wear a standout jumpsuit, but a long-sleeve cocktail dress just feels utterly pretty, and we can’t deny ourselves of that. Are you with us? Below, we’ve rounded up our favorite long-sleeve party dresses to wear to all of your winter soirees. Get ready to shop them all now. 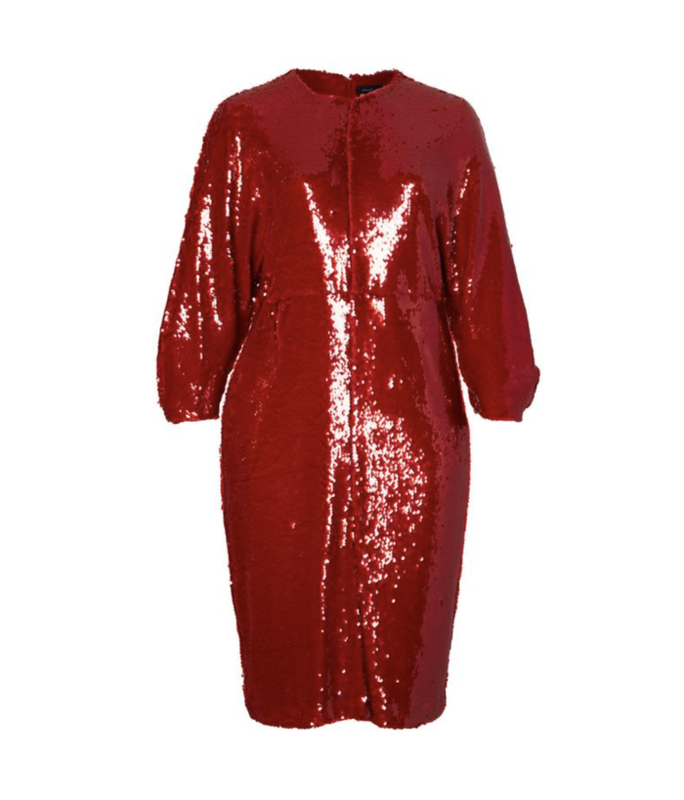 You'll never go wrong with sequins. Perfect for the office party. Velvet is always a great choice. We're loving the embellishments on this. Wear the biggest trend of the season. This dress is so cool. Tap into the '80s trend this winter. You'll turn heads in this. Celebrate the night the right way in this. Trust us—you'll be the center of attention when you wear these.